With the Oscars over for another year, the latest inventions in the film industry are about to take centre stage at the huge NAB trade show in Las Vegas, the world’s most prestigious annual show of film and TV technology. And Tasmanian film-maker, Pawel Achtel is one of this year’s finalists. Competing with Canon, Sony and other major manufacturers, two of the nineteen finalists for best invention in film production – to be awarded on 9 April – are the creations of Achtel’s small, Australian company. 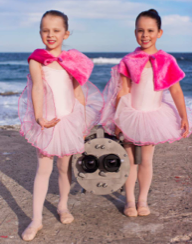 In an industry dominated by large multi-nationals, his company has produced the most innovative underwater filming system in years – revolutionary new housings for shooting in 2D and 3D underwater. Achtel’s inventions change all that. Instead of following the tradition of using large glass plates or domes in front of lenses designed for use on land, Achtel has adapted the latest digital cameras and used lenses designed specially for the very different optical conditions underwater. As a result, for the first time ever, the images from his camera systems produce pin-sharp, undistorted images suitable for the biggest cinema screens in the world. Even on the small screen of an iPad, his images have a depth and clarity not seen before; it can feel like you’re actually holding a living piece of the Barrier Reef in your hands! But it’s not just the quality of the images that sets Achtel’s underwater camera systems apart from the rest; it’s the sheer size – or lack of it. With his latest invention, the 3Deep® underwater camera system, you can film pristine 3D images using a rig that weighs not 120kg (265 lb) but a mere 20kg (44 lb). So you can go places, and get images, where no- one has gone before. 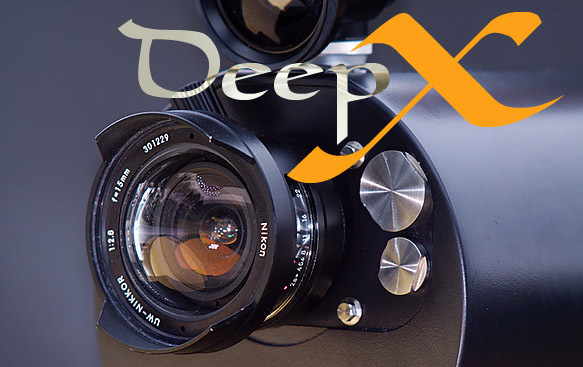 3Deep® makes use of RED cameras, made by the US company that has itself led a revolution in the world of film-making over the past decade and adopted by such film- makers as “Lord of the Rings” director Peter Jackson for his “Hobbit” movies. In the underwater world, Achtel’s DeepXTM and 3Deep® camera systems promise a revolution of their own.